We now present the Strangelove, the award for Best Actor in a Motion Picture. This award is in honor of EYG Hall of Famer, Peter Sellers. We will have our Top 10 Best Actors in a Motion Picture. #10. Daniel Kaluuya (Get Out). One of the surprise films gave us a great performance from Kaluuya. He was the person in the horror movie that we wanted to root for and he was remarkable throughout. He has been cast in the upcoming Black Panther as well so his career is on the way up. #9. Chris Hemsworth (Thor: Ragnarok). We have seen flashes of his comedic skills, but in 2017, Chris Hemsworth really got to show off his comedic timing and delivery in Thor: Ragnarok, taking a character that he has done for years and really give it a new twist. #8. Robert Pattinson (Good Times). A film that was remarkably dark and Pattinson played an extremely unlikable person. Still, you found yourself hoping for the best for the criminal. Good Times was anything but for Pattinson. #7. Adam Driver (Star Wars: The Last Jedi). Adam Driver is one of the most compelling new characters in the new Star Wars trilogy and each time he comes on screen he becomes more fascinating. His path to the ultimate villain in Star Wars is clear, but we all know that he still has some questions in his heart. Could there be redemption in his future? Or just evil? #6. Tom Holland (Spider-man: Homecoming). We have our new Spider-man. And he is perfect. The idea of making Spidey a high school student is not a new one, but casting an actor around the right age is. No longer do we have 30 year old actors trying to play young. We have Tom Holland, and he showed us all that he could handle the material. Whether trapped beneath the rubble or holding his own in a scene with Michael Keaton, Tom Holland has earned the mantle of our Web-head. #5. Jeremy Renner (Wind River). This is most likely the best performance in the career of Jeremy Renner. Dealing with his own pain, Renner ventured into the snow in search of answers after discovering a dead girl. His understanding was important for the girl’s family and the skills he brought was important to FBI agent Elizabeth Olson. #4. Gary Oldman (Darkest Hour). Gary Oldman has always been known as a chameleon in the sense that he could act a role and you would never know it was him. 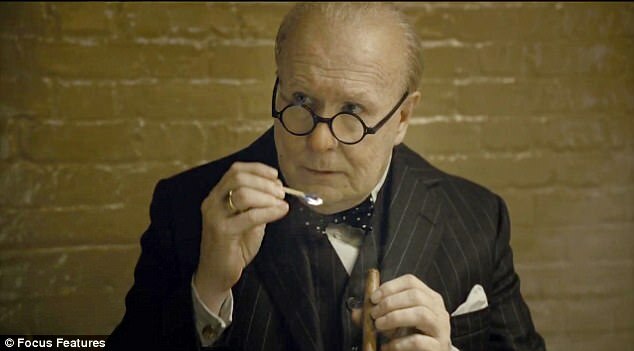 He completely becomes Winston Churchill in the Darkest Hour and his performance elevates a fairly average movie. Oldman should get an Oscar nom for this role. #3. Hugh Jackman (Logan). Hugh Jackman said goodbye to the role that defined him for the past 17 years and he did so brilliantly. He did so with the Wolverine that we always wanted. He had so much pain and anguish from a lifetime of battles, but he still had a place in his heart for Charles and for Laura. 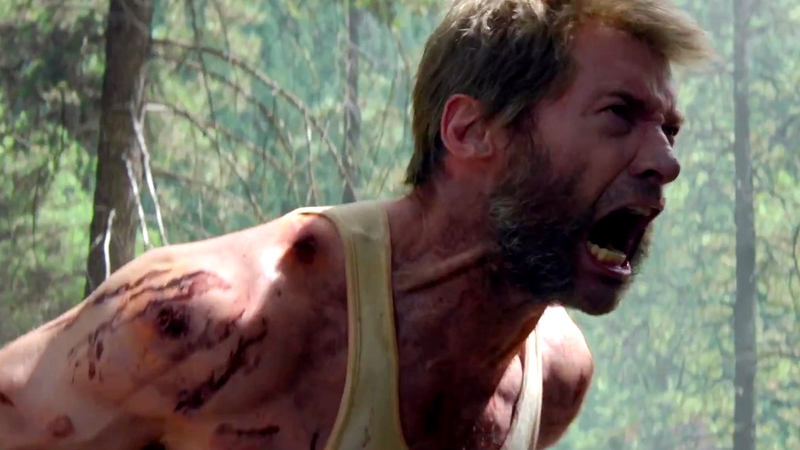 The ending of Logan is some of the most emotional moments of the year. Hugh Jackman was a perfect fit for this story. The Golden Globes nominated Jackman for the Greatest Showman, but they got the wrong performance. And the 2017 Strangelove Award goes to…. #1. James McAvoy (Split). This happened early in the year and everyone is forgetting about what amazing work James McAvoy did in M. Night Shyamalon’s Split. He played multiple personalities and each one was different. 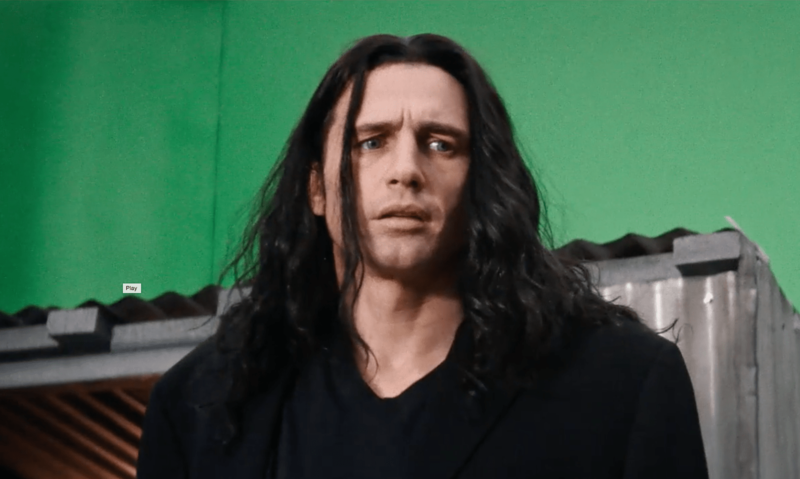 His acting was frightening as each alter felt like another real person. McAvoy was amazing and this performance stands above all others.